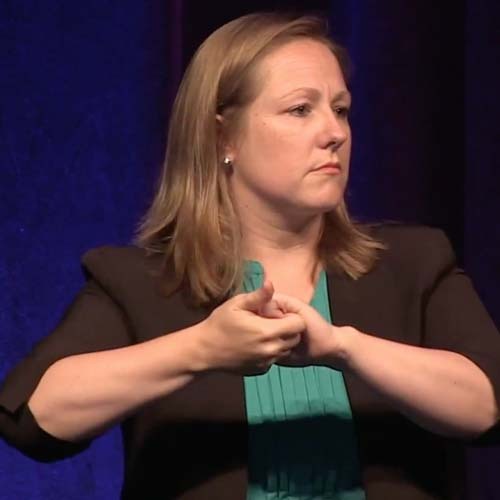 Sandra Maloney presented Replenishing Sign Language Interpreting: Extraction Exchange at StreetLeverage – X | RID Conference 2015. 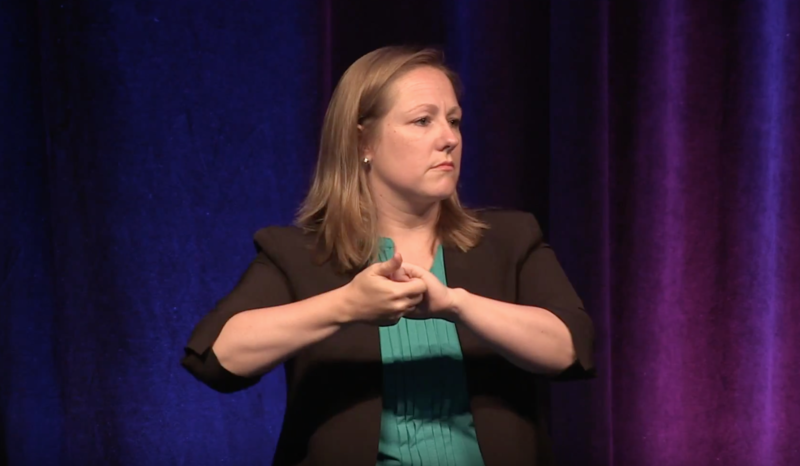 Her presentation explores the concept of the “extraction mindset,” applications to the field of sign language interpreting, and how to combat this thinking. It’s amazing to see so many of you here. When Brandon Arthur asked me to participate in this morning’s event, I was honored to be asked, particularly in light of previous StreetLeverage presenters. Then I thought, “What will I talk about?” I’m interested and passionate about any number of subjects. I could talk about RID but since this morning comes towards the end of the conference, I decided I didn’t want to focus on RID. I could talk about my graduate research, but that didn’t feel right. Then someone sent me a link to a blog by a person who is not an interpreter nor a member of the Deaf Community. The blog is written by a man named Seth Godin. As I read, I realized I had found my topic – I knew I had to talk about this today. 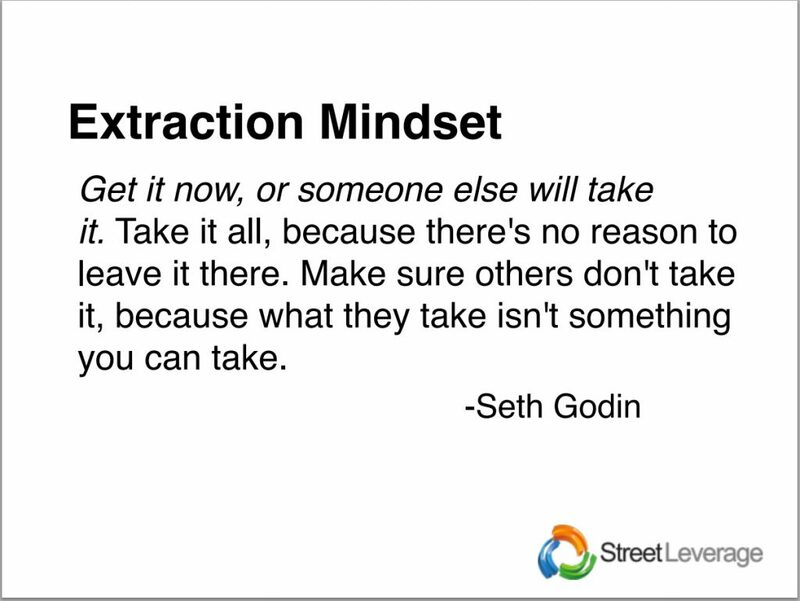 Seth’s post topic was the “Extraction Mindset.” I read the post- I’ll explain more about the blog later on, but first, I want to talk about this idea. As I read, I wondered about the meaning of the term “extraction mindset,” and, being a graduate student, I did my research to gather more information. Now, I’ll show you a paragraph taken from Seth’s blog and how I envision how it applies to our field. When I read that, I got goosebumps and my mind started racing with the many potential applications to our field. There are so many ways we can apply this theory. And the results of this “take it now before someone else gets it” mindset…the results are depleted resources. So I started thinking about applications to the field of interpreting – perhaps your minds are working on the possibilities, as well. 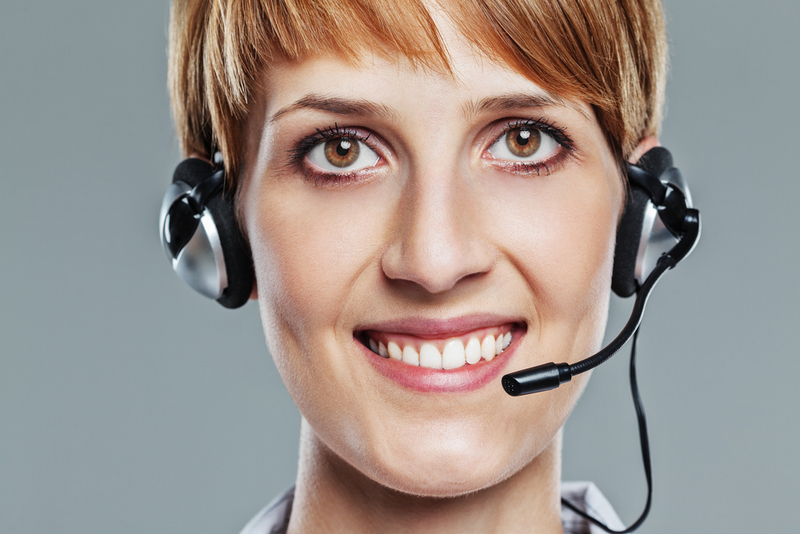 For me, one area that immediately came to mind was freelance interpreting. Wouldn’t you agree? Freelance Interpreting has no set schedule. We don’t know when the next job will come. What that means is that when an assignment is presented to us, we have to decide whether to accept or decline. In the ideal world, before we accept a job, we would consider things like, “Am I the right person for this assignment? Is this assignment at the right time? What is my next assignment after this one?” There numerous other considerations. But often, in the real world, we think about the medical appointment we have the following week, that our child’s schedule is also busy, so we go ahead and accept the job. Often, I see my colleagues accept assignments. They know that they have an 8:00 am meeting to interpret the next morning. When they get a last minute emergency call to the hospital that may mean working through the night, they still accept the job even knowing they will have to interpret in the morning. That’s a prime example of that “take it now” mindset without considering the repercussions. Because we don’t know what is coming next, we focus on immediate things like our income, our bills. There’s nothing wrong with those things, but what is the ultimate impact? I had another thought about this on an organizational level. Often, we find a good volunteer. Once we find out that they are willing to serve, we get very excited about giving them multiple jobs because it benefits our organization, but what about the benefits to the volunteer? They started out wanting to give back, but how are they benefiting in the long run? As organizations, we need to consider the benefits to volunteers as well as ways to train future generations of volunteers. I think we’ve lost the concept of “training behind” a bit. So now, when we task someone with a project, we don’t provide the necessary resources. We don’t have individuals who can support that next generation person in taking over. That concept has been lost. We see this at work in the Deaf community, as well. We want language models; we want people to participate and get involved. We take advantage of their resources. The Deaf community does want to help interpreters, to help improve the community, to work in partnership with interpreters. But often, people say things like, “I’m done. Let someone else take that on. Let them do it. I’m done.” That response is really a result of the extraction mindset. That type of thinking results in burnout. So the result of the extraction mindset is burnout. I’ve noticed recently on several Facebook pages – I’ve joined a number of pages as a participant. I don’t often comment, but I do watch the discussions. I’ve noticed we have a problem in that interpreters are leaving the field to pursue other careers. They no longer work as interpreters. They get tired and become social workers, psychologists, nurses, something other than interpreters. They aren’t continuing to work as full-time interpreters. My thought is that this is due to the “take it all now” mentality and the depletion of our resources. There’s nothing left for them, and we aren’t providing appropriate supports. On an organizational level…. I often work with affiliate chapters (of RID) who talk about the apathy of the members. “They don’t want to be involved. They aren’t volunteering.” Okay, but what are we providing for them? “They” are tired. “They” don’t know the benefits of volunteering. This has to be a partnership. It has to be. If not, this is what happens – we have problems. We aren’t able to do what is needed. We feel paralyzed because there is no partnership. So, how can we succeed? If we are stuck in this short-sighted mentality and solely focused on looking out for ourselves without considering how our decisions impact future outcomes, the problems will only persist, and our successes will be few and far between. If you’ve focused on that extraction mindset, if you’ve focused on your own gains, don’t be discouraged or disheartened. There is still hope. Any time we identify a problem, it is important that we come up with ideas to create solutions or alternative ways to approach an issue. 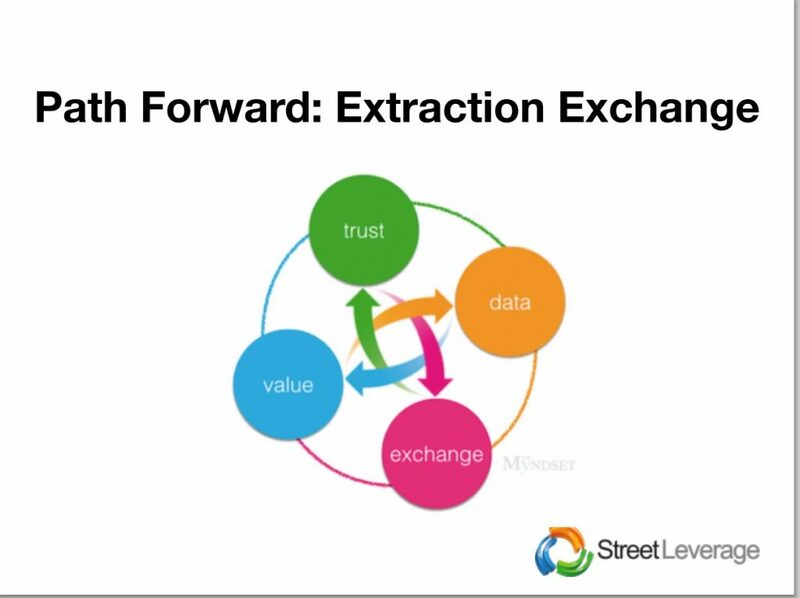 As I researched “extraction mindset,”I also found a concept called “extraction exchange”. That business model requires interaction. Extraction exchange always considers the future – not only for the self, but for the organization and the community. Thinking about the future allows us to examine decisions and their effects on the present and the future and all parties involved. This week, I’ve gone into numerous workshops where people have said, “You must plant the seed.” Plant the seed. My challenge to you is to go back even further and prepare the soil. That means each of us looking at ourselves and asking, “What can I contribute? What can I give back…to my community? to my local affiliate chapter? to my organization?” We can’t opt out and expect that “they” will fix it. We can’t. We have to act. I’ve seen some examples this week [at the 2015 RID Conference]. For example, at the Business Meeting, someone mentioned that we have to take action on our own and partner with organizations to determine how we can work together. We can’t just set our expectations and hand them off to our organizations and say, “You do it.” We have to figure out how to work together to succeed. We can work together with trust, with information, by determining where the value is and by exchanging ideas. 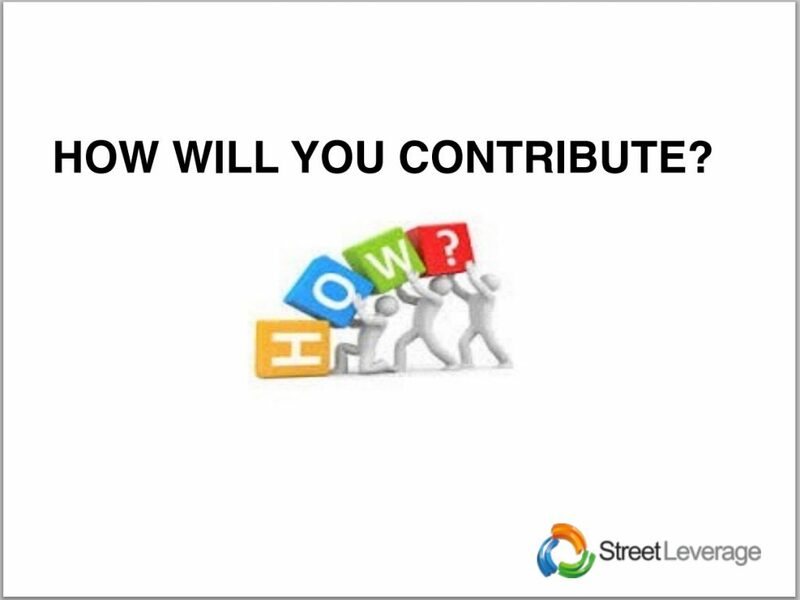 So, what will your contribution be? I ask you to think about how you can contribute on an individual level, a community level and on a systemic level. How will you contribute? StreetLeverage had a great time providing coverage of the 2015 RID Conference in New Orleans, LA August 8-12, 2015. 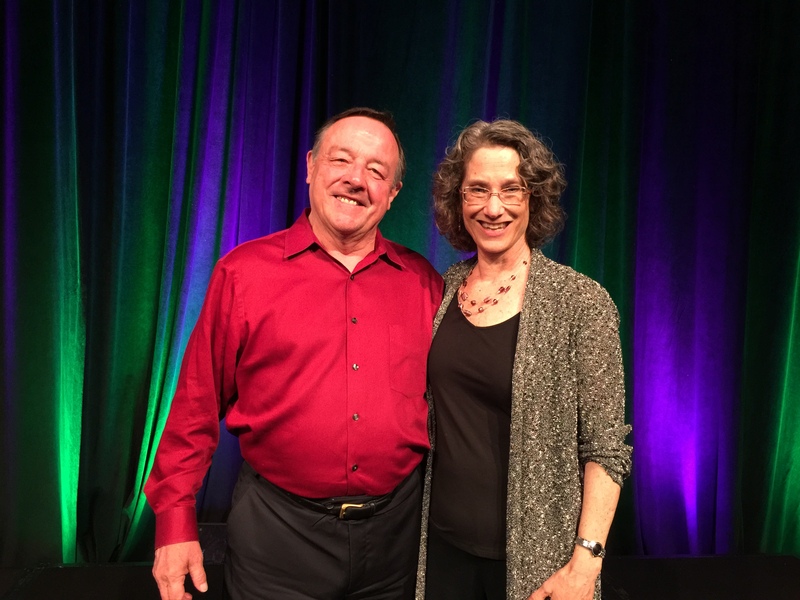 If you attended or watched the conference live-stream feed, you’ll remember that on Saturday, August 8, 2015, Dennis Cokely and Cathy Cogen presented, “Preparing Interpreters for Tomorrow: Report on a Study of Emerging Trends in Interpreting and Implications for Interpreter Education.” It was one of the standout presentations at the conference to be sure. 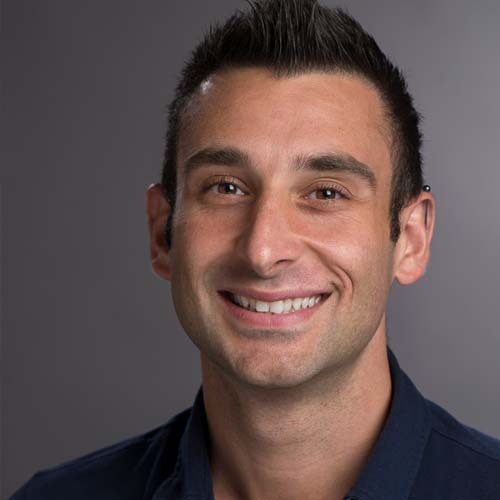 To our good fortune, both Dennis and Cathy were willing to sit down with Brandon Arthur, StreetLeverage founder and curator, to discuss their findings and their visions for the future of sign language interpreting and sign language interpreter education. * To view the conversation with Dennis Cokely or read the English transcript, click here. * To view the conversation with Cathy Cogen or read the English transcript, click here. 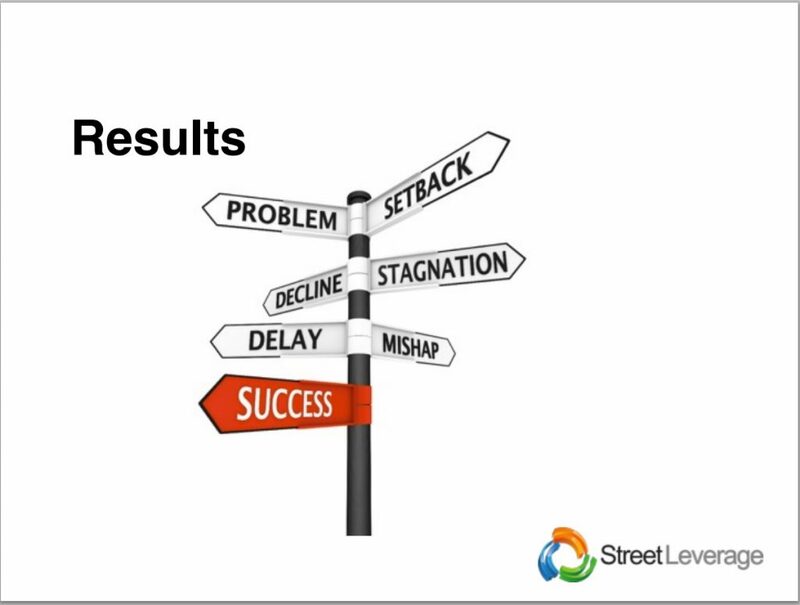 If you missed the presentation, you can find the PPT deck used by Dennis and Cathy here. Recommendations for aligning Interpreter Education with the challenges of tomorrow, including some significant departures from the status quo in interpreter education. Finally, they issued a call to action for conference participants to commit to partnerships, practices and policies which will support the creation of a better future.